Originally from Ireland, Dr Geralyn McCarron is a GP practicing in suburban Brisbane for 30 years. Following her first trip to Western Queensland, she has remained involved with rural communities impacted by unconventional gas. 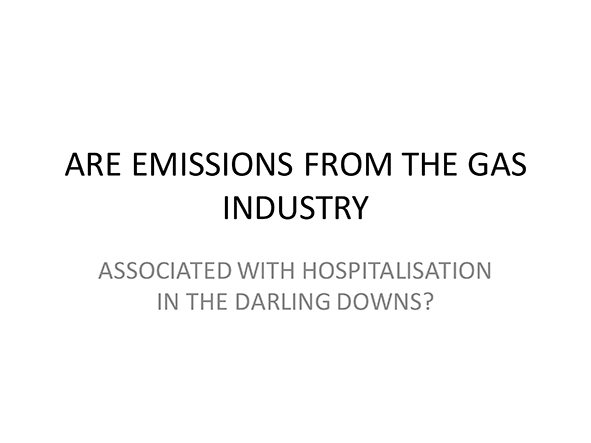 Since 2012, she has been involved with a Darling Downs community that has found itself hosting Queensland’s multibillion dollar gasfield development, hence her research focusing on the Darling Downs Hospital and Health Service, particularly in Chinchilla in the heart of the gasfields. She has written two peer reviewed publications, one report and has made submissions to several State and Territory Inquiries. 2) Unconventional natural gas development: economic salvation or looming public health disaster?